Lupe Backe's art blog. 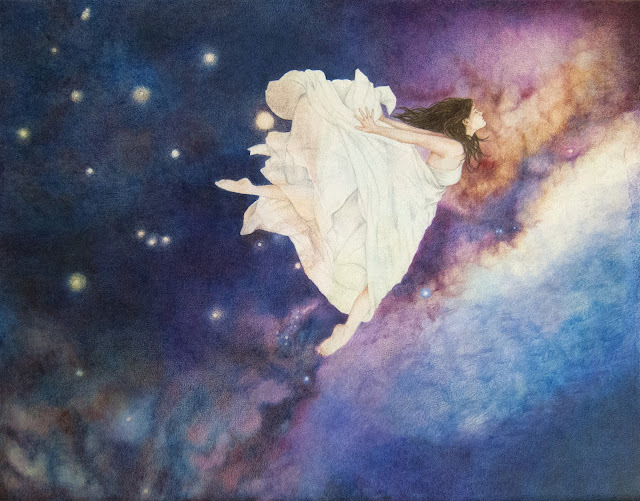 She is an amateur artist, who works mostly with colored pencils and more recently, with pastels. I've been slowly working away on In Dreams. There are lots of layers of color in the background and still lots to add. I've darkened some areas with repeated cycles of layering the colored pencils and then using solvent to blend the colors together. Most of the work so far has been on the background which I still want to be darker. I have yet to do a lot of detail work on the figure and also deepen the colors here. 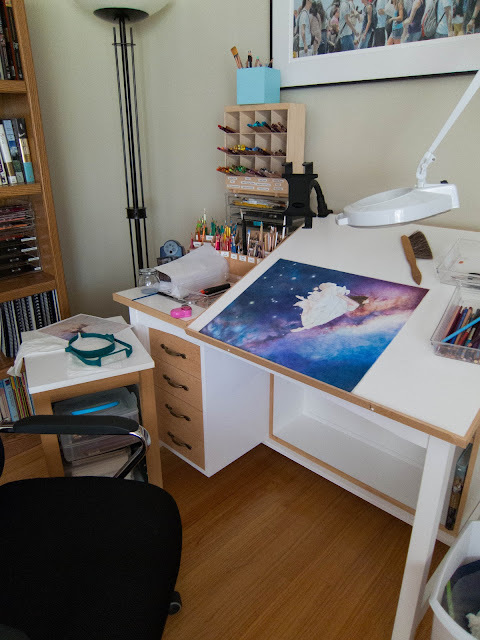 I'm really enjoying my new colored pencil work area. I have everything I need at my fingertips! I work mostly with colored pencils, though lately I've been trying my hand at pastels. I call my blog Art On the Side because I do my artwork in my spare time.